Faith and family are at the center of Matthew’s life. He is married to Katelyn, a former school teacher at McGuffey Elementary in Newark. They are the proud parents of Lydia (2), and are expecting a baby girl in May. Matthew is an active member of Covenant Community Church and an avid supporter of Heartbeats of Licking County. 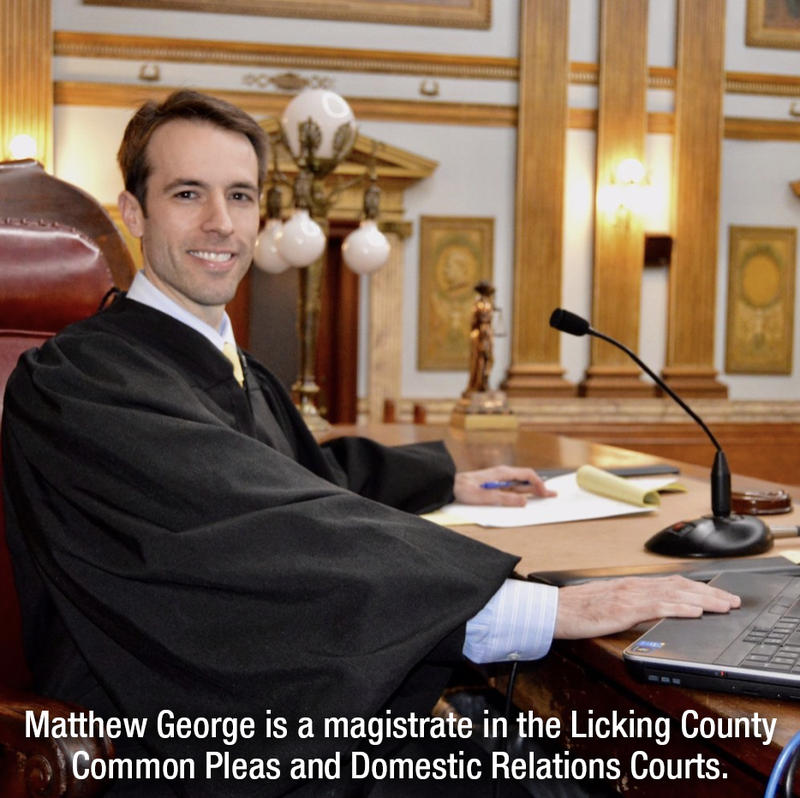 Matthew serves as Magistrate in both the Licking County Court of Common Pleas and Domestic Relations Court. Appointed as a magistrate in 2007, Matthew has served Licking County with honor and dignity for over a decade.